If there’s one thing you need to know about Capital Junk, it’s that we take everything — except for things that are hazardous. Before you get in touch with us for full-service junk removal, be sure to see what we can take and form a game plan to get rid of any hazardous materials that we can’t remove. Hazardous waste is deemed dangerous and toxic by the City of Toronto. We are committed to keeping your home and the environment clean — which is why it’s important to us that hazardous items get the necessary attention they deserve. Keep in mind that the city provides a Waste Wizard so you can identify exactly how to get rid of these materials. If you need of full-service junk removal, you can visit our homepage to learn more about what we take, how we take it, and what happens after! You can count on us, as a green company, to make sure that your items are recycled, reused or donated. In fact, we have our own recycling centre where we sort through everything we collect! It is important to us that everything is diverted properly. We strive to make the junk removal process as easy as possible — the reason why we don’t remove hazardous materials is because they need to be handled very carefully. If we were to take them, it could be disastrous for our health and the environment. It’s important to note that when you use these materials for their designated use, they aren’t necessarily hazardous — however, they can become dangerous when improperly discarded. It’s important that when you’re getting rid of these materials that you are cautious of where you are putting them. These items can’t just be discarded of without a care — there’s a good reason why the City of Toronto does not permit household hazardous waste to be put into the garbage, blue bin, or on the curb. We take great pride in our eco-friendly practices and that’s why we encourage you to learn about our environmental efforts to better understand why we won’t take certain items. If your hazardous materials are put into the garbage with the rest of your trash, especially in an unclear bag, your local garbage collectors will take them directly to a landfill. These materials can release harmful toxins that can contaminate the air and land they stand on. 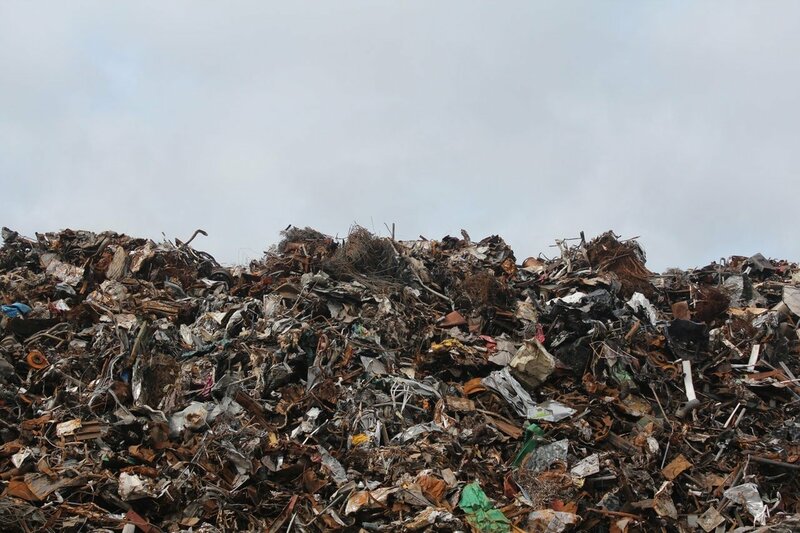 According to The National Agricultural Safety Database, landfills aren’t equipped to withstand hazardous materials. This waste can trigger fires, explosions and more when not treated properly. It’s essential to consult your city’s official site for guidelines to identify where to bring your hazardous waste to ensure it is treated properly and won’t cause harm. If these items make it to the landfill because they were lumped together with the rest of your garbage, they can seep into the soil. Liquids like paint and household cleaners are considered hazardous household waste items. They contain chemicals and harmful metals like mercury that find their way into the soil. This is detrimental to the health of the environment, and the people and animals that inhabit it. If you were to just toss out paint into the garbage without a care, it wouldn’t end well for anyone. When you put it down the sink, not only can it harden and block your drain, but it can get into the water stream and take a huge toll on your water quality and the environment as an extension. Paint can have fungicides, volatile organic compounds and, if very old, hazardous metals like mercury and lead. The thing is, these materials kill off the good bacteria in water and prevents sewage systems from functioning properly. 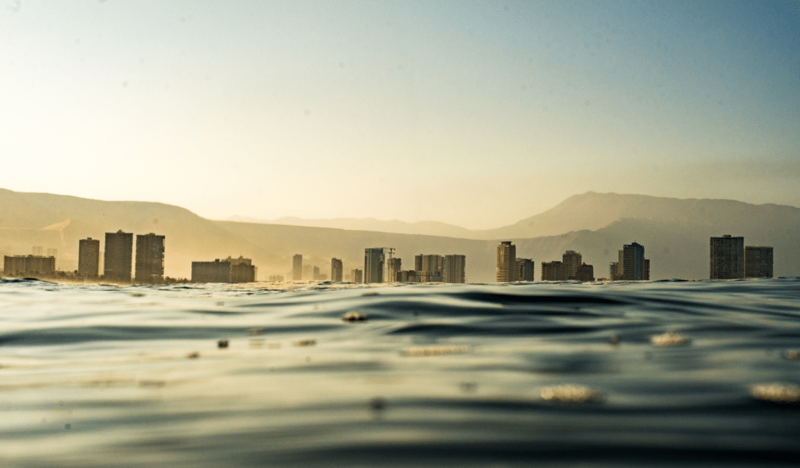 According to Scientific American, The U.S. Environmental Protection Agency estimated in 2007 that 65 to 69 million gallons are tossed out in the U.S. every year. 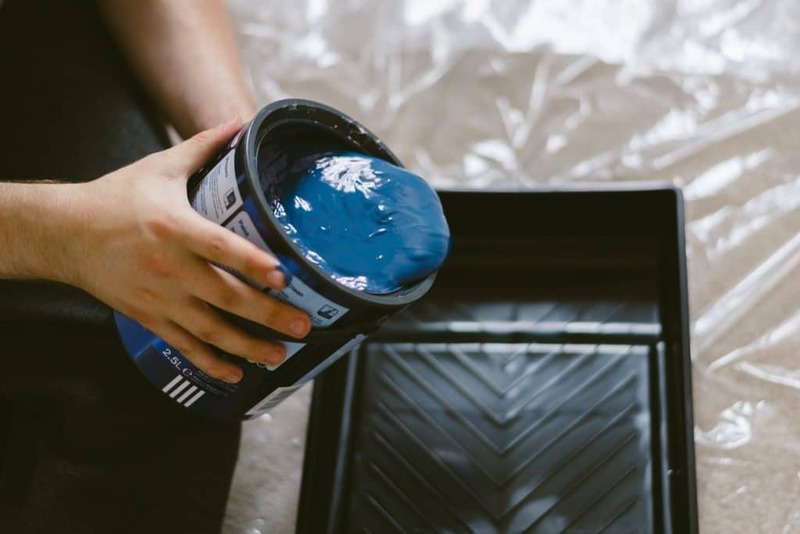 If you have leftover materials like paint, share with someone can use it — and if you can’t, remember that paint can actually last and be re-used for up to 15 years! If you need to get materials like paint off of your hands, however, you can bring it to a recycling centre to make sure it’s treated properly. Companies like Habitat for Humanity also accept old paint and will recycle it on your behalf. It’s vital to avoid dumping any hazardous liquid-based materials down the drain — for example, according to Live Science, an Earth911 representative confirmed that one gallon of motor oil can contaminate 1 million gallons of freshwater. Motor oil contains metals like cadmium and lead that can be incredibly dangerous if not dealt with properly. If dumped or put in the garbage, these oils can pollute water supplies, fish and more. According to the City of Toronto, batteries are considered a household hazardous waste item — they are even illegal to throw in the trash in certain provinces. It makes sense, considering a lot of batteries contain traces of toxic materials including metals like mercury. It is a major hazard if these materials end up at a landfill where they are a fire risk. These materials can also end up in our water stream and, well, you can imagine how damaging these materials can be to water life. Getting rid of batteries can be challenging as they are not considered e-waste that our junk removal company can remove and recycle on your behalf. Fortunately, we have a recycling guide that will help you identify where exactly you can bring any of your batteries. It’s good to note that batteries can be brought to a drop-off depot or collected on a Community Environment Day. Medical Waste is more than syringes and materials with traces of bodily functions. According to Ohio University, medical waste also includes prescription medication. Unfortunately, a good chunk of old prescription medication ends up in our water supply — including the water the public drinks — which is why it needs to be handled with caution. According to the World Health Organization, medical waste contains microorganisms that can potentially harm healthcare workers and the public when mistakenly diverted to a landfill. Of course, it poses as a major health threat when things like syringes covered in bodily fluids are tossed into a garbage bag with common household trash. Syringes and other sharp medical waste materials can poke through garbage bags and lacerate anyone who may handle the garbage from a neighbour who may be lending a helpful hand or your local garbage collector. The best way to dispose of sharp medical materials like needles and syringes is to bring them to a hospital or any public facility with designated sharps disposal boxes. These disposal centres utilize plastic containers that ensure that these materials don’t protrude, injure or infect anyone. Items that are not considered medical waste and can actually be disposed of in the garbage include dialysis waste, iv bags and tubing, soiled dressing, disposable gloves, masks etc, and catheter or colostomy bags. It is essential to ensure that you’re getting rid of any medical waste in your home with caution. For one, you definitely don’t want to just flush or pour any liquid medical waste down a drain. Get Full-Service Junk Removal to Get Rid of Your Non-Hazardous Items! Capital Junk is a full-service junk removal company with over a decade of experience in the business. We are committed to helping you regain your space and can ensure that everything we collect from you will be recycled, reused or donated. You can trust us to remove all of your old, precious items. As long as your stuff isn’t hazardous, we’re happy to head over and take everything off of your hands. All you have to do is book online or give us a call. We will provide you with a two-hour appointment slot and will be sure to give you a courtesy call 15 minutes before we arrive at your place. Once we get there you can expect a complimentary, no-obligation quote. Once you give us the green light, we can proceed and deliver our same day service! Call (519) 584-2466 to get in touch with Capital Junk today.